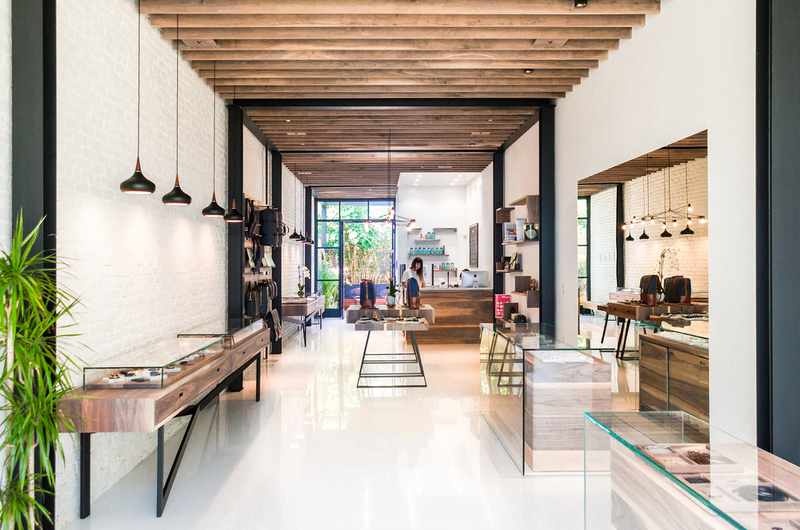 1116 Abbot Kinney Blvd in Venice is our second store collaboration with Miansai. Our scope included concept design, and a whole lot of furniture and fixture design and manufacturing; including some of the biggest credenzas we've ever engineered. All pieces were designed and built in our Brooklyn studio and shipped to LA where we spent just a few days onsite installing. The furniture pieces are a mix of solid black walnut and shop made thick veneer when more appropriate for casework. Everything was finished with a zero-VOC hand applied oil. Featured in Interior Design's April 2017 issue and Design Milk. We're always happy to return to Venice; Snapchat please call us.